Soundproofing a cafeteria converts what is often a loud utility space it into a quiet, comfortable multi-functional space for students, faculty and parents. The main function of a cafeteria is to provide food service to groups of hungry kids. However, many school cafeterias also have assemblies, performances and other activities taking place. This would require good speech intelligibility. Since most cafeterias use hard, reflective materials like painted concrete block and tile flooring, they are usually reverberant spaces. The reverberation and echo make it hard to communicate. Additionally, poor acoustics provide little comfort to tired ears. Kids can certainly be loud, no matter what age group they are. Since we don’t typically eat lunch with our children at school, we most likely don’t even realize how loud it can get. Sound levels can easily escalate to the point of causing headaches and stress, to say the least. Teachers and staff often use charts to help instruct the children on using appropriate voice levels. This may somewhat help lower levels, but it’s a temporary fix at best. What’s worse, to try and compensate, we try to talk louder over noise. This intensifies the problem and may lead to potential safety concerns. Sound levels can get to a point where communication is next to impossible. Adding acoustical material to absorb sound removes the noisy distraction and helps create a calm environment that all can enjoy. 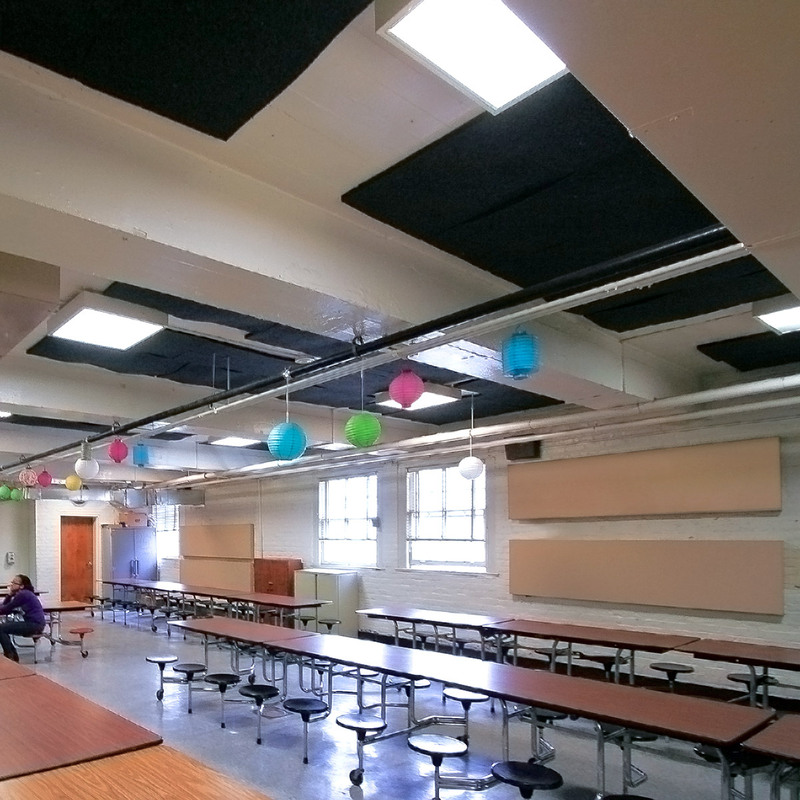 Soundproofing a cafeteria will help reduce the volume of noise permeating throughout the room. This is relatively easy to accomplish using friendly, cafeteria-safe materials. Ceilings are typically the first place to start. PVC Sound Baffles make a great treatment for large open spaces. The surface is easy to clean and the product is economical. 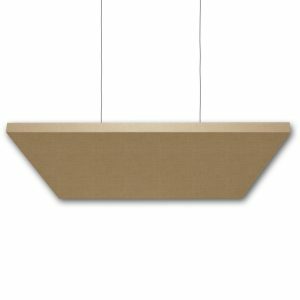 Since they hang vertically, they also provide more surface area for sound absorption. They also come in a variety of primary colors. If the ceiling is low and the material is within reach, consider using the durable Ripstop Sound Baffles. 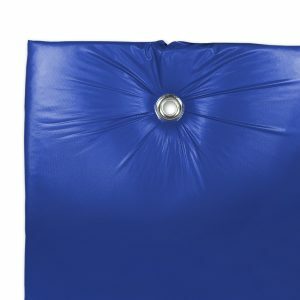 This baffle is also available as a Ripstop Wall Panel, for areas that may be subject to abuse. If a higher-end ceiling treatment is desired, take a look at fabric wrapped ceiling clouds. 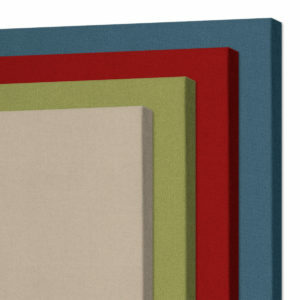 Placing acoustical panels on the wall will also help absorb sound in the areas where the noise is being generated. Absorbing the initial sound with something like a fabric wrapped panel prevents the sound from reflecting throughout the rest of the room. If the panels will be mounted in a high traffic area and subject to abuse, we would recommend using High Impact Panels or PolyPhon™ Acoustic Panels. 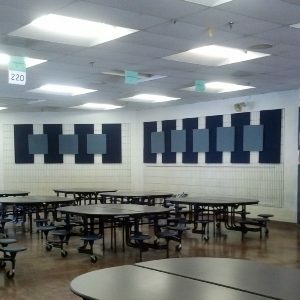 Since cafeterias can be messy, the Studio 54 Acoustic Panels are stain resistant and may be cleaned using a damp cloth. 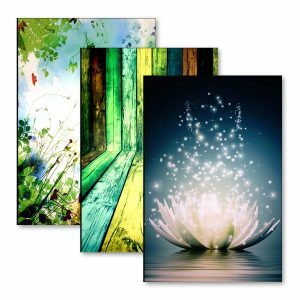 If you want a panel with a picture, create an inspirational poster or with the school’s logo with the AcoustiArt Acoustic Panel. Since fabric wrapped panels are available in many different fabric colors and sizes, they tend to be the most popular acoustic treatment when design is important. However, there are other options. 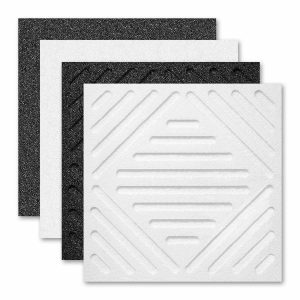 When a more economical solution is desired, consider using acoustical foam. 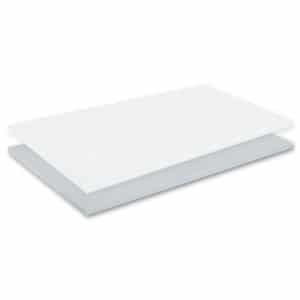 Lightweight and easy to install, acoustic foam should be mounted away from high traffic areas on the upper portion of the wall or glued direct to the ceiling. 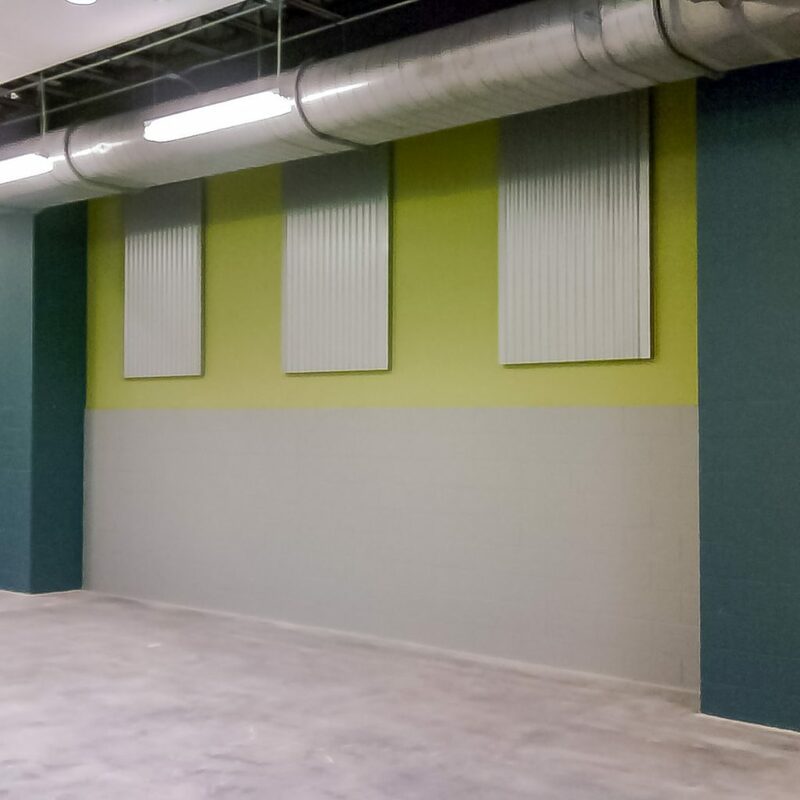 PolyPhon™ Acoustic Panels are a great option as an impact resistant wall panel. 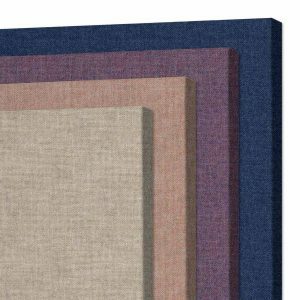 Though they do not absorb as much sound as acoustic foam or fabric wrapped panels, the PolySorpt® Acoustic Panels do provide a double duty option. 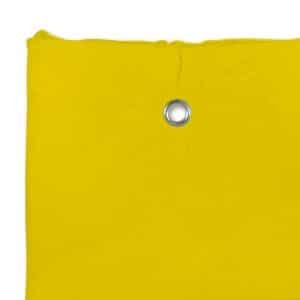 They are impact and water resistant and may be glued direct to a wall or ceiling. This makes them a durable choice for areas needing routine cleaning. Improving the acoustics in a cafeteria provides students and teachers with a useful space for facilitating their goals. Cafeterias may be somewhat subjective and dependent upon the use of the room. If the room is only for food service, then a 2.0 second reverb time may be an acceptable result. Just reducing the overall noise level may be a win. If the room is houses other events, such as performances and assemblies, good speech intelligibility may be a requirement. For this, the reverberation time (RT60) should be approximately 1.0 to 1.5 seconds. Ideally, reducing any echo and reverberation in a cafeteria will help lower noise levels. The objective is to produce a calmer, soothing environment to facilitate the activities taking place in the cafeteria. 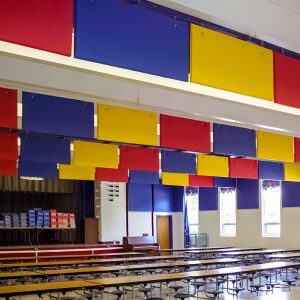 The noise levels in the cafeteria at West Seaford Elementary was reduced using a combination of AlphaEnviro® PVC baffles and panels. The AlphaEnviro® PVC baffles and panels provide a colorful and effective way to improve the room acoustics in this cafeteria at Mechanicsville Elementary School. 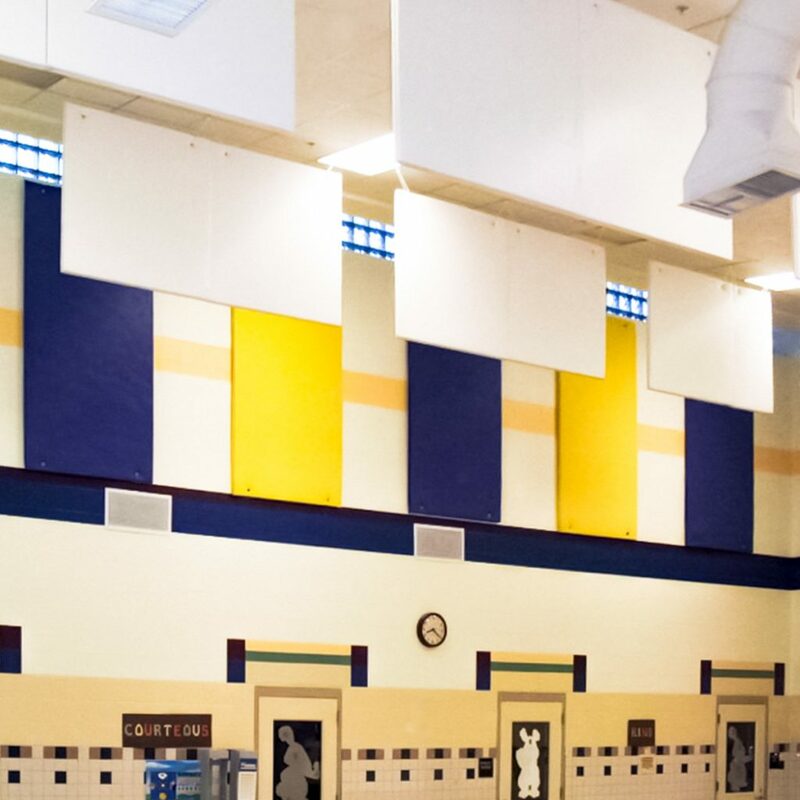 Bellevue Elementary reduced sound levels in their cafeteria using AlphaSorb® Wall Panels and PolyPhon™ Panels mounted to ceiling. Farragut Elementary school cafeteria using EcoSorpt Wall Panels to reduce noise for soundproofing.